Friends! How was your Easter? Did you do anything super fun? Get anything fabulous in your Easter basket? Does the bunny still come to your house? It’s been a little while since I got an actual Easter basket, but I’m thinking next year, even though our little guy will only be about 9 months old, we will have to start up the annual basket giving. And the next year when he’s old enough for an egg hunt? Don’t even get me started. I already can’t even handle how fast time is going. 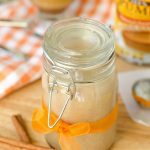 It’s been awhile since I brought you a coffee recipe! How so very unlike me! 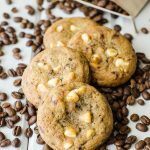 Unless we count the compost cookies (which contain coffee grounds) I brought to my cookie party in December, it’s been almost a year since I posted my mocha chocolate chunk muffins. 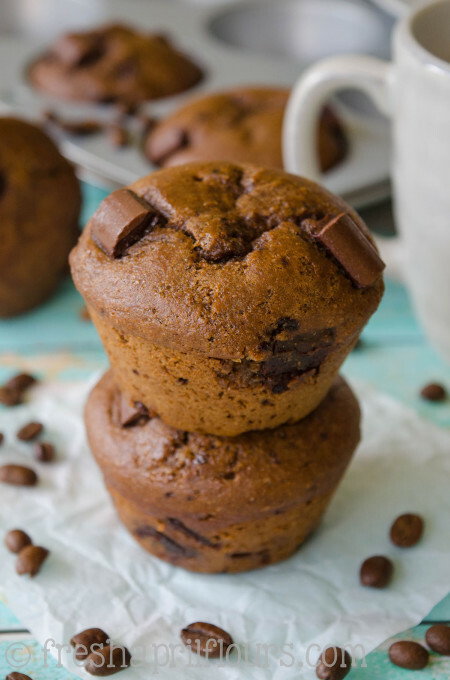 I feel like for as much as I tell you I love coffee, a recipe like this should have come sooner! 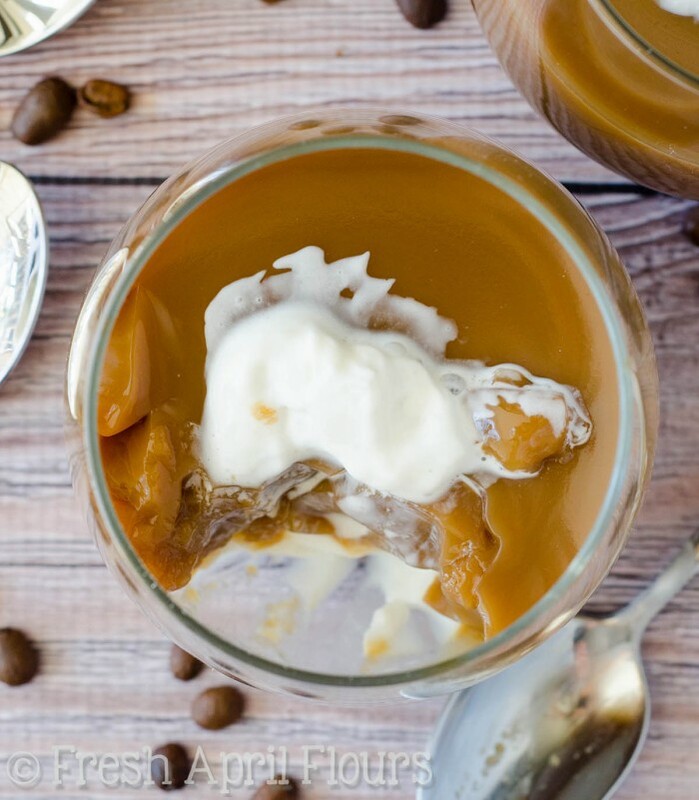 Thank goodness for my serious brainstorming and my new favorite gelatin, coffee treats have made a comeback. Do you remember these blueberry oatmeal protein cookies I made last month? 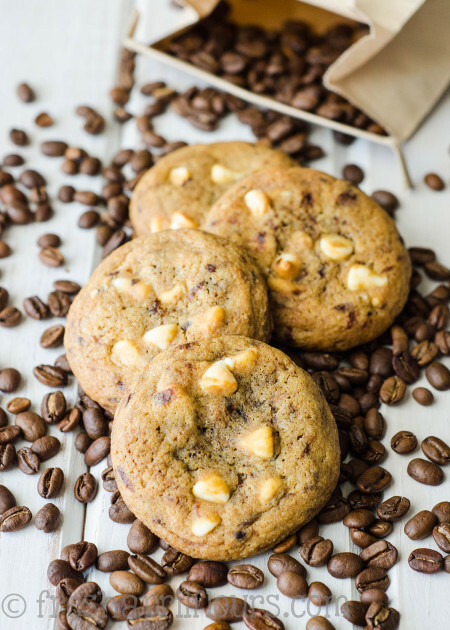 I made those beautiful cookies with collagen peptides, a flavorless, organic, certified gluten-free protein powder from my friends at Vital Proteins. 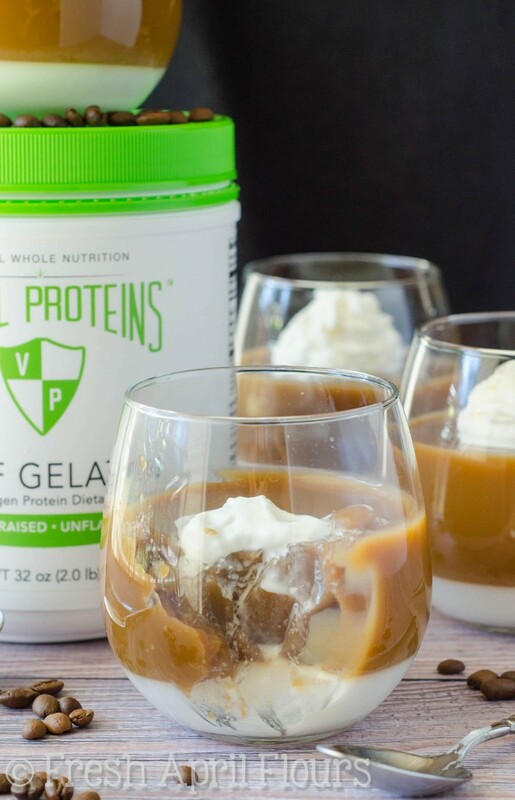 Well, those guys also make a grass fed gelatin, which I used in today’s recipe to turn coffee into my new favorite dessert. Ok, maybe not absolutely favorite. There’s still this and these (more recently) and always always always THESE. But it’s pretty high up there! You’ve likely worked with gelatin before– an easy box of Jell-O hardly has a learning curve. There’s some waiting involved, and it’s kind of the hardest step, as the rest is basically just stirring things together until they’re completely combined. 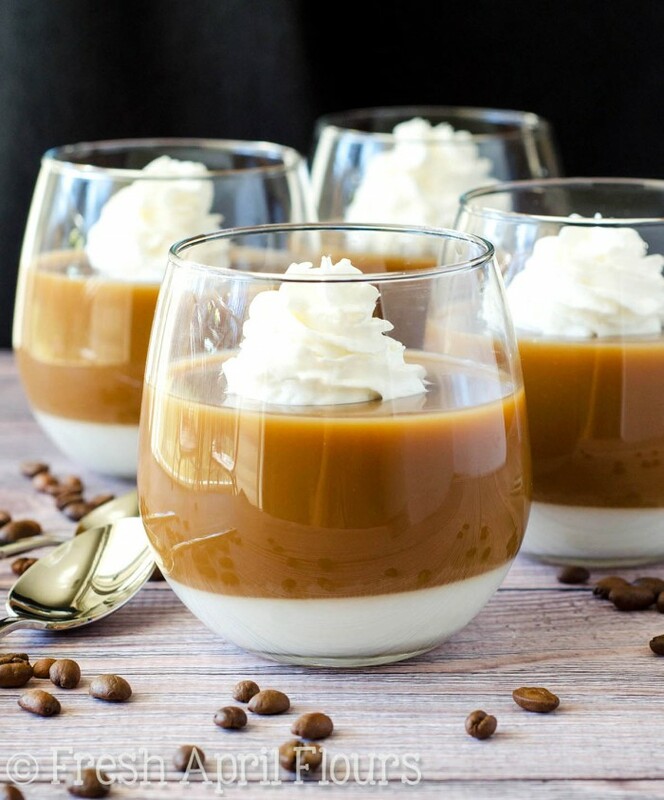 If you’ve ever done the boxed Jell-O, you’re totally capable of these adorable coffee and cream gelatin parfaits. Promise. First, you’ll start by heating up some water in a saucepan. 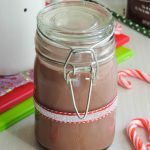 To that, you’ll add your gelatin, sweeten it with a little sugar, and then add some half-and-half (you could also use milk, cream, or non-dairy milk). Pour that into 4 parfait cups, allow to set (about 1 hour), and then you’re ready for the coffee layer. 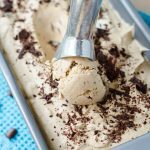 For the coffee layer, you’re going to use instant coffee grounds. I prefer to use Folger’s, but you’re welcome to use any kind you like. If you don’t have instant coffee, just brew some regular coffee and dilute (or remove some) to 8 ounces. Heat up another cup of water in a saucepan, add another scoop of gelatin, a little more sugar than last time, and then combine with your prepared coffee. Split that up evenly into the chilled parfaits with set half-and-half gelatin, being careful to pour down the side of the glass (or onto the back of a spoon) to prevent disturbing the half-and-half layer. Another couple hours in the fridge, then you’re good to go! 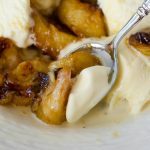 Top with whipped cream, eat straight up, serve as dessert, as an afternoon snack/pick-me-up, or really, whenever you deem it appropriate to have some coffee (<– any and all the time). 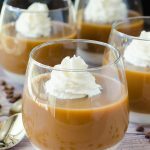 These little coffee & cream gelatin parfaits are perfect for entertaining (use smaller cups and make 8 of them! ), impressing dinner guests, or simply finding a way to creatively enjoy your coffee, especially with these warmer months ahead of us. I can just picture it already… Sitting on our deck this summer, spooning my tasty coffee gelatin between newborn screams and diaper changes. Ahhh, perfection. At least I won’t have to worry about my coffee getting cold, right? ???? 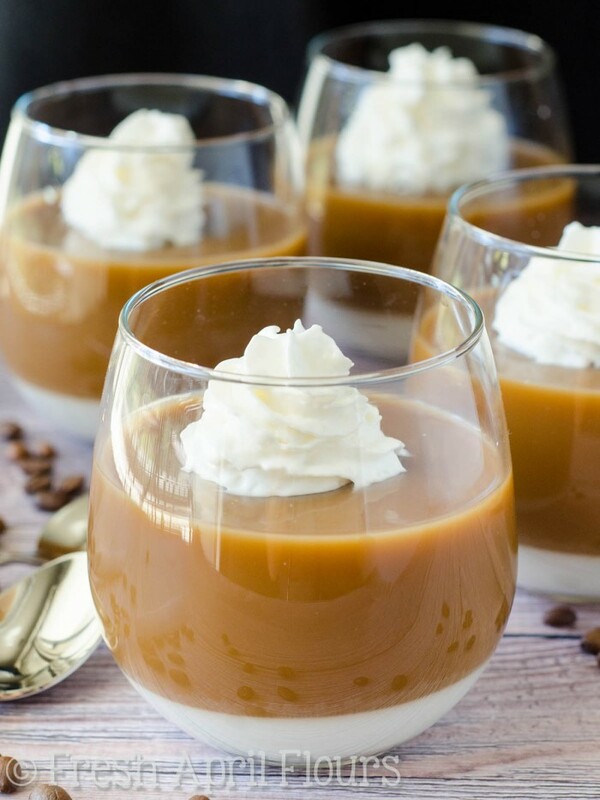 Easy gelatin parfait cups featuring layers of lightly sweetened coffee and rich cream. A creative way to serve coffee after dinner, during the summer, or just any time you're feeling fancy with your cup of Joe! Add 1 cup of water to saucepan and heat over medium-high heat. Sprinkle 1 scoop of gelatin evenly on top and stand for 1 minute. Stir with a spatula, then add 1/4 cup of sugar. Continue to heat and stir to dissolve completely. Add half-and-half and stir to combine. Pour into large container with a spout (like a glass measuring cup) and pour evenly into 4 parfait cups (approximately 1/2 cup in each). Allow to set in the refrigerator for 1 hour. Heat another 1 cup of water in the microwave until warm. Stir in instant coffee grounds until dissolved. Set aside. Add remaining 1 cup of water to saucepan and heat over medium-high heat. Sprinkle remaining 1 and 1/2 scoops of gelatin evenly on top and stand for 1 minute. Stir with a spatula, then add remaining 3/4 cup of the sugar. Continue to heat and stir to dissolve completely. Add coffee and stir to combine. 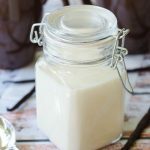 Pour into large container with a spout (like a glass measuring cup) and pour evenly into prepared parfaits cups with half-and-half layer (approximately 3/4 cup in each). 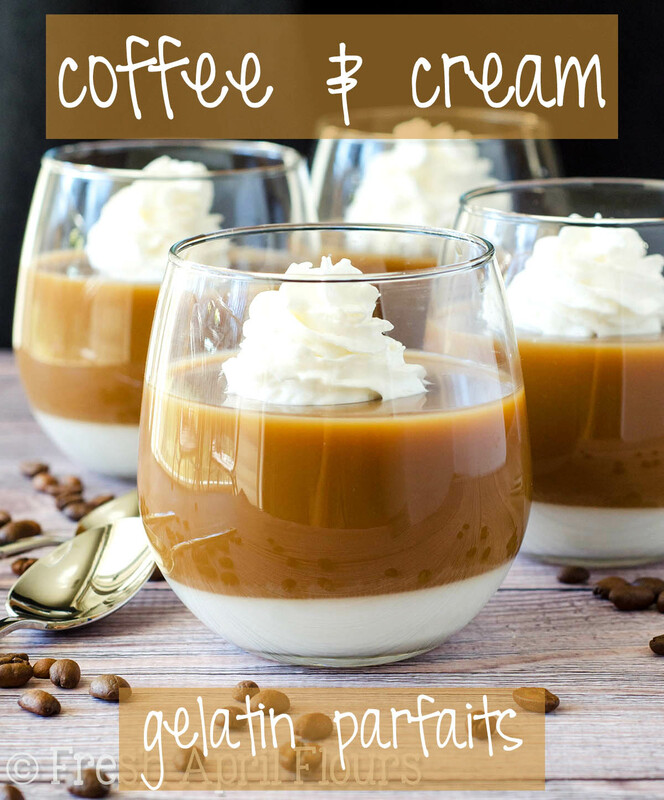 Pour coffee gelatin onto the back of a spoon or down the side of the parfait cups to prevent it from disturbing the half-and-half layer. Coffee layer will start to dissolve the half-and-half layer a bit, and that's ok. Give the coffee layer a gentle stir to blend in the streaks. If you would like a completely clear coffee layer, allow half-and-half layer to set for 2 hours. 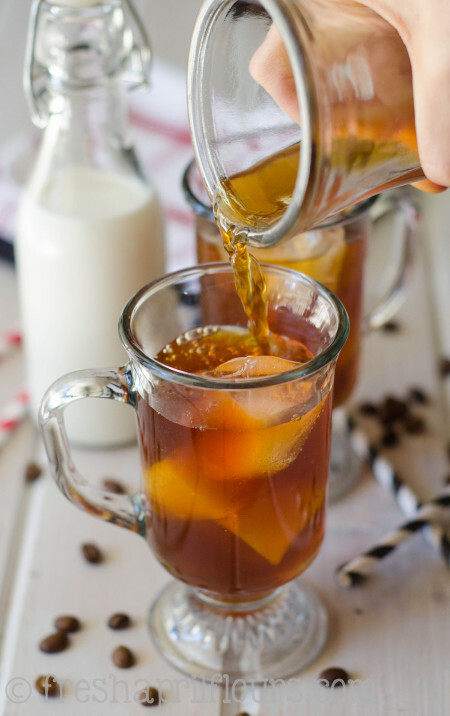 Alternatively, you can swap the layers completely (with the coffee on the bottom and half-and-half on the top). Allow gelatin to set completely in the refrigerator, about 2 hours. Top with whipped cream, if desired, before serving. Gelatin parfaits stay fresh in the refrigerator, covered, up to 1 week. Top with whipped cream right before serving. *Available in 32oz or 16oz containers. I’m working with my friends at Vital Proteins to bring you today’s recipe. All opinions are 100% my own. This post contains affiliate links. Ohhhhhhh baby! You know that my love for coffee is equivalent with yours, so I am obvi ALL ABOUT THIS. Plus, I loooooooved getting to try the first test recipe – Could have eaten the whole darn lot of ’em! Too good! 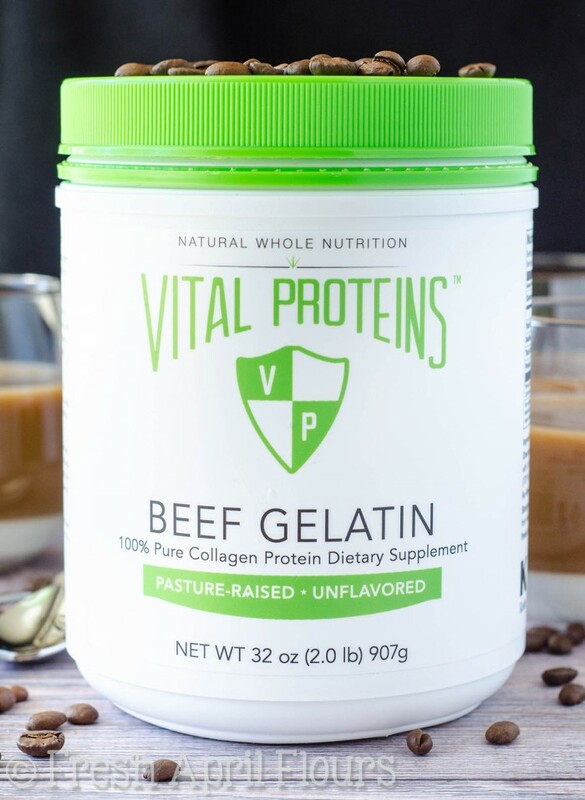 Definitely need to get my hands on some Vital Proteins Collagen Gelatin, STAT. I’m so glad you guys were able to help us taste test! We have made them again… Because they’re just so addictive!! I love me some coffee desserts, FO SHO. Hahahaha, OHHHH I’ve been there! It’s the worst! What a delicious light dessert idea! I have some vegetarian ‘gelatin’ just waiting in my cupboard for this delicious occasion! I must try these stat! Hi Julie– 2 scoops is 20g. I would have to check the exact Tbs measurement at home.